MACFEST (Muslim Arts and Culture Festival) is a brilliant organisation, which works closely with local schools and colleges to explore and promote Muslim arts and culture. Students have performed at various different MACFEST events during the year, representing and promoting the peace and unity of the Islamic community. 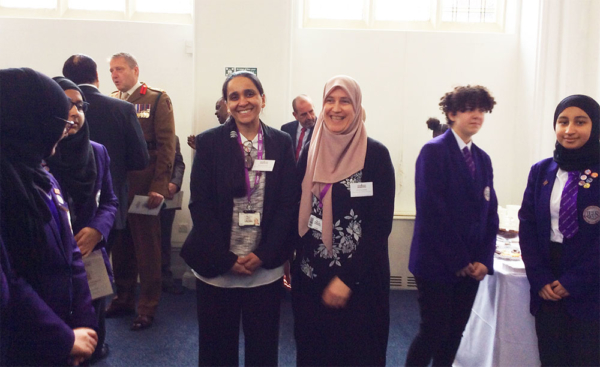 Consequently, MACFEST’s recognition from the royal family has become a huge milestone, not only for the Muslim community but also for the diverse, multicultural city of Manchester. The royal family are widely involved in a large number of charitable events that help strengthen communities across the country. It was a huge privilege for our students to meet HRH Prince Charles of Wales at the British Muslim Heritage Centre in Whalley Range, who’s visit was to celebrate their 10th anniversary. 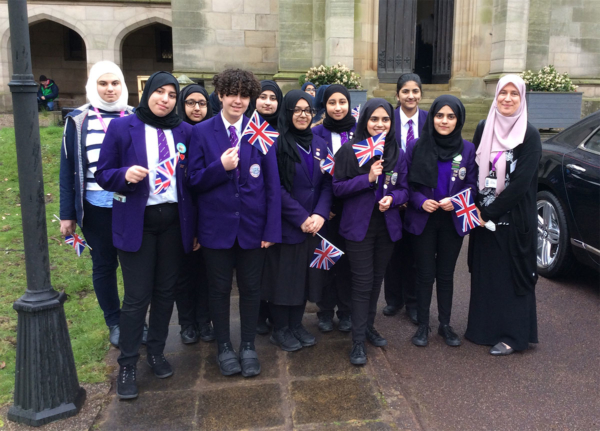 We’d like to thank the British Muslim Heritage Centre, MACFEST and HRH Prince Charles of Wales, for providing our students with an unforgettable experience. This once in a lifetime opportunity has brought unforgettable memories and has motivated me to take part in further events commemorating our history and culture. Meeting HRH Prince Charles has inspired me to become more involved within my community. I felt very proud for presenting my school through MACFEST and for spreading a positive message about Islam. It was an amazing experience and I was so proud to meet Prince Charles.